Although nearly a year old, all of the information in this article is still relevant. Raspberry Pi can still be used for security reasons but can be dangerous; scroll down to find out how. Today many people are thinking about alternatives to the traditional home security route. DIY security systems are emerging at a rapid rate as technological advancements progress in the industry. While it is both simple and affordable to opt for a DIY security system, people still want to take it even further and literally make their own security systems from scratch. This post addresses a Raspberry PI Review and the reasons why you shouldn’t make your own home security system from a Raspberry PI. 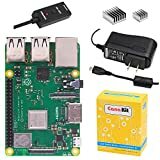 A Raspberry Pi is a credit card-sized single-board computer developed in the UK by Raspberry Pi Foundation in order to promote the teaching of basic computer science in schools. The Raspberry Pi is manufactured in four different boards and is mostly sold online. These boards cost about $20-$35 depending on the make, and close to 4 million boards have been sold. What Can You Do With Raspberry Pi? The Raspberry Pi can be used for a number of different projects. For example, the Raspberry Pi is capable of making small robots, weather stations, media centers, and even home automation devices. While it is true that the Raspberry Pi is capable of creating many different electronic devices, it is more suitable for some than others. 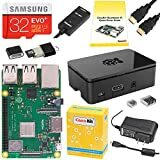 Sure, you can teach yourself the basics of computer science and end up with a multitude of awesome devices that stem from a Raspberry Pi. However, for the sole safety of your home and family, we recommend that you avoid creating your own home security system using this board and opt for an affordable DIY system instead. Protect America has a number of different security packages for every price point. Each package is both customizable and caters to your needs exactly. Additionally, with purchase of monthly monitoring, equipment is free at Protect America. Consider opting for one of our systems. Protect America will undoubtedly protect you and your family in the event of a burglary with our 24/7 professional monitoring. Any security device you make from scratch is going to be an unmonitored system. Only monitored systems come with 24-hour surveillance by a professional security team. Having a professionally monitored system provides a higher level of security. With unmonitored systems, you’re largely on your own as far as responding to an intrusion. If your home is burglarized, the police will not be notified unless you call them directly. Instead of placing the burden of this responsibility on yourself, simplify your life by using a professionally monitored home security system from Protect America. A Raspberry Pi security system has the ability to send notifications to your smart phone with a motion detecting surveillance camera. You can even program it with facial recognition capabilities. However, this will not actually stop an intruder from entering your home. These devices that you can make will only let you know that someone has gained access to your dwelling. On average, it takes a burglar about 60 seconds to gain access to your home. In less than 10 minutes, your average burglar is able to locate your valuables and exit the premises. It would probably take you longer to read this page. Let’s say you’re busy and can’t get around to checking your smart phone. Your Raspberry Pi system lets you know that an intruder is in your home. By the time you see the notification, chances are your home has been burglarized.